March saw the release our first extensions which provide extra functionality and allow us to generate some income. We released our first batch of extensions on the 11th of March which included: social login, bbpress, Mailchimp, myCRED and Google reCAPTCHA. We also released two further extensions (notices, user reviews) later in March bringing our total extensions for the end of the month to seven. When it came to deciding what extensions to build we made the decision to focus on building not the most complex ones but to instead focus on ones we could build in a shorter time. This allowed us to release our first extensions sooner and bring in some much-needed revenue (Ultimate Member started getting built 8 months ago). The month of March (11th-31st) saw us bring is a total revenue of $6363 from 141 orders. 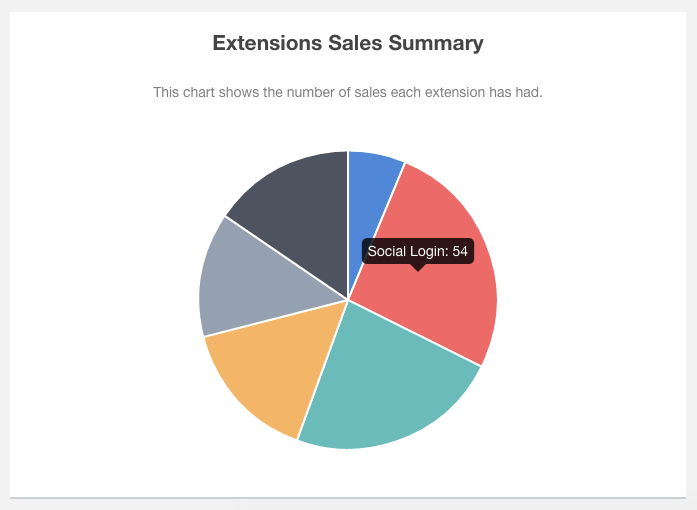 Our two most popular extensions were: social login and bbPress which brought in over half of the revenue. We also had an average spend per customer of $53 and an average order value of $45. A big boost for us this month was Ultimate Member being featured on WP Tavern. The post written by Sarah Gooding (@pollyplummer) brought in a lot of visitors to our site and ultimately led to people using our plugin and becoming paid customers. When you create a new WordPress product it is natural to want to get the word out about it straight away, especially if the product is going to be your full-time business. However, we decided not to reach out to WP Tavern as soon as we launched Ultimate Member at the end of January. Instead we made the decision to wait until the plugin had been on the repo a little while and we had an interesting story to share. Unless you are already an established name/brand in the WordPress community or are introducing a product that is truly revolutionary then I would advise against trying to get featured on the Tavern and other blogs straight away. If we had done this I am pretty sure Ultimate Member would not have been featured on the Tavern. The fact that we waited allowed us to share some useful info when we reached out to them. By waiting Sarah was able to gauge the quality of the plugin by looking at our plugin reviews and active install stats and we were able to share insightful business data about our extension sales. Indeed if you look at the post you will see that the majority of the post is not to do with what features the plugin provides but rather the business of the plugin. So if you are a WordPress product owner and you are wondering how to give yourself the best chance of being featured on WP Tavern I would highly recommend you do not focus on the features of your plugin but rather have an interesting story to share. 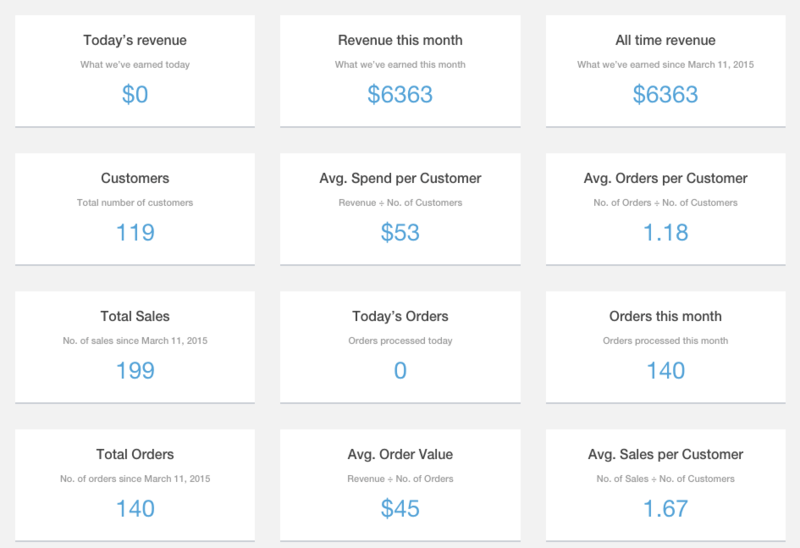 One of our favorite things we implemented in March was our open metrics dashboard that publicly displays our e-commerce metrics in real-time on our site. Ever since I came across Buffer I have been inspired by their transparency culture and we truly believe in running an open and transparent plugin business. In the WordPress world we have found it very important and inspiring to be able to see how other plugin businesses are doing. Without being able to see the revenue figures of plugins such as EDD and Ninja Forms and seeing how successful they are, then deciding to start a new full-time plugin business would definitely have been a harder decision. So in an open-source World we felt it was only right to open up our metrics for everyone to see and learn from. Whilst the main reason we created the open metrics dashboard was because of our belief in openness, being transparent also has a marketing benefit. Because we use the EDD API for creating our metrics I thought I would tweet Pippin and let him see what we had created. What I didn’t expect was for him to tweet it out to his 10,000+ followers which would result in retweets, favorites and replies from well-known members of the WordPress community such as @syedbalkhi, @Krogsgard and @jameslaws. Whilst this may not seem like much, it is small things like this that allow us to spread the word about Ultimate Member and expose the plugin to more people in the WordPress community. So if I was to recommend one thing to new WordPress business owners it would be to run an open and transparent business. It helps the community by providing useful insights and it can also provide you with a marketing benefit. A win win situation! Overall March has been a relatively successful month for us. I will be honest and say our monthly revenue is not where we would like or need it to be long-term but considering we have only released a few extensions so far, then it is not too bad a start. Hopefully as we release more extensions we will see our revenue and other e-commerce metrics improve. Feel free to leave a comment if you have any questions about Ultimate Member in March.